Body Solid WLA79S Lat Accessory for Smith Machines SM44, SM45, SM46 & MultiPress Racks MPR80. 210 lb. 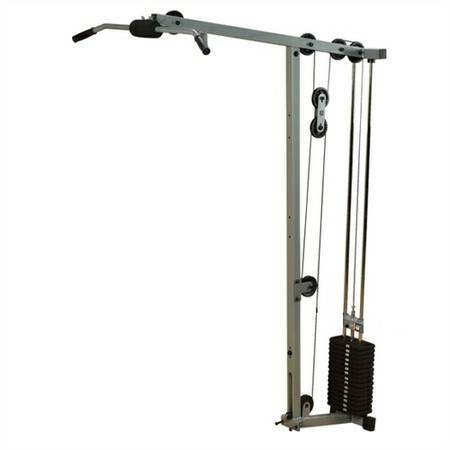 Selectorized Weight Stack Loaded Lat Pull and Tricep press down attachment for Body Solid Smith Machines & MultiPresses Racks. The actual unit is White in color. This unit will not fit any of the Power Racks such as the WPR78 and WPR80.